What Size Furnace Do I Need for My San Marcos Home? 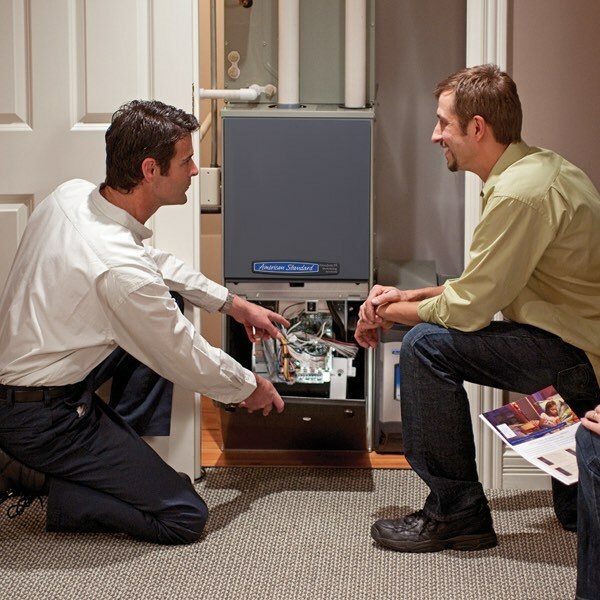 Looking to install a new furnace for your home? You’ve probably noticed that furnaces come in a variety of sizes—and are wondering which size you need. Unfortunately, we can’t give you a size recommendation in a blog article. The good news? We’ll explain how the furnace-sizing process works, so you’ll know what to look for (and avoid) when a tech comes to your home. Need a San Marcos tech to properly size a furnace for your home? Call us at (512) 396-8183 or schedule an appointment online. Furnaces are sized in British Thermal Units (BTUs), which measures how much heat a unit can output. The higher the BTU output, the more heat the unit can provide. Most residential furnace sizes range from 40,000 to 100,000 BTUs, but you can find units that provide up to 200,000 BTUs of heat. A furnace that’s too big or small for your home can create a lot of problems. High energy bills. A furnace uses more energy to start up than it does to run continuously. Because short cycling causes the unit to start and stop more frequently than normal, you’ll pay more in energy bills. Inconsistent temperatures. Since the furnace won’t run long enough to heat every inch of your home, you’ll notice hot and cold spots throughout your house. Shortened furnace lifespan. The frequent starting and stopping of an oversized furnace puts excess wear and tear on its parts, which makes them die quicker than normal. High energy bills. Because the furnace is running constantly, you’ll pay more in energy bills than you would with a properly sized furnace. A home that never feels warm. A furnace that’s too small simply doesn’t have the capacity to meet your heating demands, which means your home will likely feel cooler than you’d prefer. Shortened furnace lifespan. The long run cycles of an undersized furnace put a lot of stress on the unit’s parts, causing them to wear out prematurely. The only to find out out which size furnace you need is to have a professional perform a heat load calculation. As you can see, a load calculation can get pretty complex, which is why you’ll want to leave it to a professional. If this happens, get a second opinion. Sizing a furnace based on square footage alone misses a lot of sizing factors, like the ones we mentioned in the section above. For example, a load calculation would indicate that a home with poor insulation and lot of windows would need a larger furnace than a home of the same size with good insulation and few windows. Another pitfall you should watch for in a tech is laziness. Some techs will recommend choosing a new furnace that’s the same size as your current one, which could create a problem: If your current furnace is over- or undersized, you’re replacing it with another improperly sized furnace. Getting a load calculation will not only tell you what size furnace you need, but also whether your current furnace is the correct size. Need a San Marcos tech to help you find the right furnace size? One of our techs will come to your home—sporting a smile and a good attitude—to calculate the perfect furnace size for your needs and preferences. How Much Does it Cost to Install a Furnace in San Marcos?